Published on October 4, 2010 by Wade Shepard Follow me on Twitter here. SAN CRISTOBAL DE LAS CASAS, Mexico- Old, respected airlines around the world continue to go bankrupt, continue to go out of business. Why? I must ask. Mexicana Airlines, formally known as Compañía Mexicana de Aviación, S.A. de C.V, was one of the more recent major air carriers to drop dead. This was a major airline — the largest in Mexico — but this was not enough for it to sustain its loses and to continue operating. Mexicana asked its labor union to agree to pay cuts, the labor union said no, so Mexicana shut its doors — everybody got the boot. If you don’t want to get paid less money, how about no money? The workers choose no money, and Mexicana went down. Though there is a decent chance that it would have went out of business regardless of labor union pressures. Mexicana was the first airline in Mexico, opening its doors in 1921. At the time it ceased service, at the end of August, 2010, it was the oldest airline in North America, the third oldest in the world. In point, Mexicana was a landmark airline. Mexicana airlines is no more. Travelers will now have less options flying in and out of Mexico, and less options often mean higher prices — especially since a host of Mexican budget airlines also recently went under. I heard about Mexicana going out of business as it was happening a little over a month ago. I followed the story, as the old, major airlines often possess some sort of romance to the traveler — or, if not romance, then at least familiarity. I was shocked when the final decision was announced that Mexicana decided to finally give up flaying about in the water and to just drown in the sea of history. 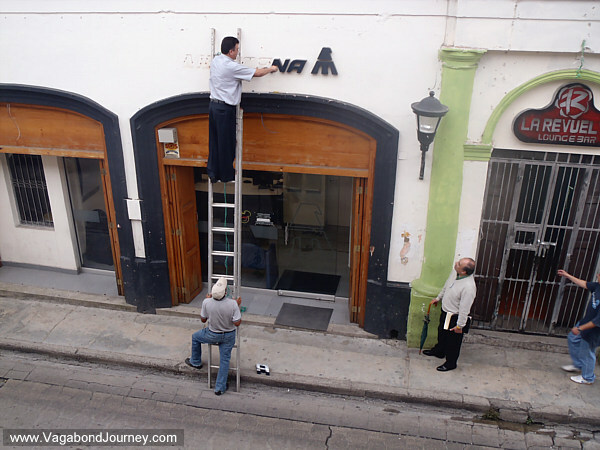 I have a room in San Cristobal de las Casas that sits right across from a Mexicana airline office. 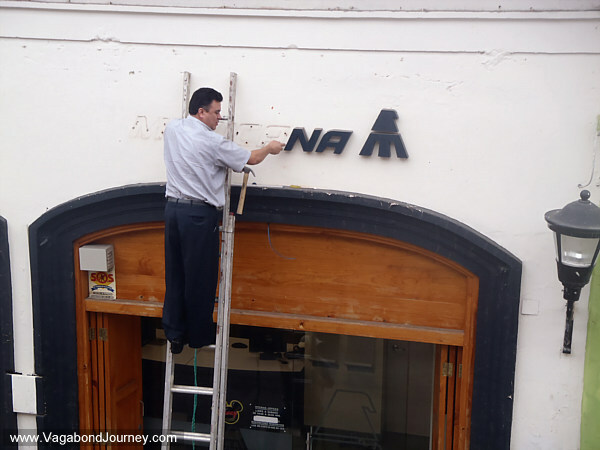 For some reason this office remained in operation until two days ago, when the letters that spelled out Mexicana were pried off the wall above the door, the shades drawn, and the last man left the building. Mexicana is no more. 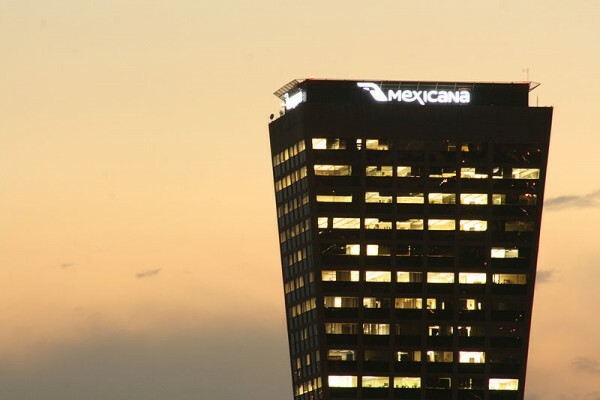 But I just looked over the hotel balcony and into the old Mexicana office to see the lights on and another guy sitting behind a computer. There is a little printout on the door to let me know that this office is now being used by AeroMexico and some airline called Interjet. After being a landmark airline in Mexico for 89 years, it seems as if Mexicana has already been forgotten. Though I still have to wonder why old airlines are going out of business while new ones are springing up everywhere (many just to go out of business as well). The simple answer that I can come up with is that old airlines tend to outlast their profitability — costs such as higher wages for longer term staff, pensions, and an established worker’s union tend to add up, and the old airlines can no longer match ticket prices with the younger ones who do not have the same overhead. An 89 year old business more than likely has a lot of mature workers who climbed the proverbial ladder in terms of position and pay as well as a virtual army of pensioners sucking at its resources, while a young business will tend to have a younger, lower paid staff and a good head start on retirees. With the maturity of the internet, it is also easier for consumers to compare ticket prices, so airlines are now forced to drive prices down to the lowest common denominator to get passengers. All a prospective flyer has to do is flip open their laptop and do a Kayak (or equivalent) search to find the cheapest prices on airfare. Most travelers also look no further than the first — the cheapest — option on the airfare search results page. I do not know any traveler who chooses airline reputation over price when selecting a flight. I remember when I first began traveling how I would look no further than the yellow pages to find flights. I would sit with a pad of paper in front of me and call each airline on the telephone trying to find the cheapest price. I worked hard at finding fares — I had to then — but I am still sure that I probably sometimes paid more than I had to for some flights, I highly doubt that these old school methods were apt enough to always locate the cheapest price. I am sure that many other travelers had to find flights in the same way. In the pre-internet days of travel, an airline’s reputation mattered. Who would a traveler call first when looking for a flight: a major airline that they know or some no name, new carrier they never heard of? They called the old, proven, respected airlines. In the old days, these old airlines had a major advantage: they had a reputation, customers would look to them first. Now, they are at a severe disadvantage. Finding the cheapest airfare was once an art, a true skill to be proud of. It isn’t anymore. In the internet world — where a customer can find the cheapest price at the click of a few buttons — it seems as if the airlines are all competing each other into oblivion. Each airline is now trying to offer the lowest seeming fare while sneakily coming up with creative extra charges and fees to make up the difference. Airline reputation, name, and respectability mean little in the internet age: the only thing that matters is price. And any idiot consumer can now find the lowest price. It does not matter at all to me if I fly United Airways or if I fly Buggerme Air, I am going to choose the cheapest option. I do not think that I am alone in my preference. So the old birds of air travel are going to go out of business, anything to do with airlines now seems like a poor career choice — as soon as your company is established enough to pay you a higher wage and the promise of a pension is more than likely the time that they will go out of business and you will be laid off. Old airlines cannot compete with the young in the internet age. Even fresh airlines that come out of nowhere with a shot of ultra cheap, industry topping prices within a few years often find themselves on the bankruptcy table. The rampant competition between airlines is industrial cannibalism. It is my impression that an industry where the lowest price is clearly and easily in the public view is an industry that is doomed. The public is going to choose the lowest price, triggering an industry wide race to the bottom. With this ardent competition between airlines to shoot for the lowest fares, many — if not most — are now reverting to trickery and deception: the ticket price will be competitive but an entire barrage of mysterious and creative taxes, fees, and charges will make up the difference at the expense of the consumer. The airlines know that we can now easily find the cheapest price for airfare and that this is going to be the option we choose, so they now have to fool and deceive us somehow to get our money. How about we charge them to carry their own possessions? How about we create an additional fee to sit in a seat? Hey, how about we charge the same price as their ticket for the privilege of flying with luggage? Yeah, that will get these cheap flight hounding suckers. Because of the above reasons, I would not be surprised if airfares and flight patterns soon become government regulated once again.